Several mornings ago on a chilly gray morning, a dear friend of mine and I bundled up our babies and headed to the farm. That’s what we call it, anyhow. It’s one of our favorite places to spend a few hours, and there’s always something new to see and learn, like a newborn baby cow or silly goat to watch play. Also, it takes around a half an hour to get there, and I rather enjoy the time to listen to a book or podcast, and clear my head on the drive. So my friend informed me the day before, that the next day would be the very last one where this farm would be open to the public before closing their doors for the season, so maybe, just maybe, if we asked nicely, and didn’t take too much, we could forage some flowers growing around their garden? With gentle coaxing, shears in hand, and really cute babies for a bit of bribery, we succeeded! 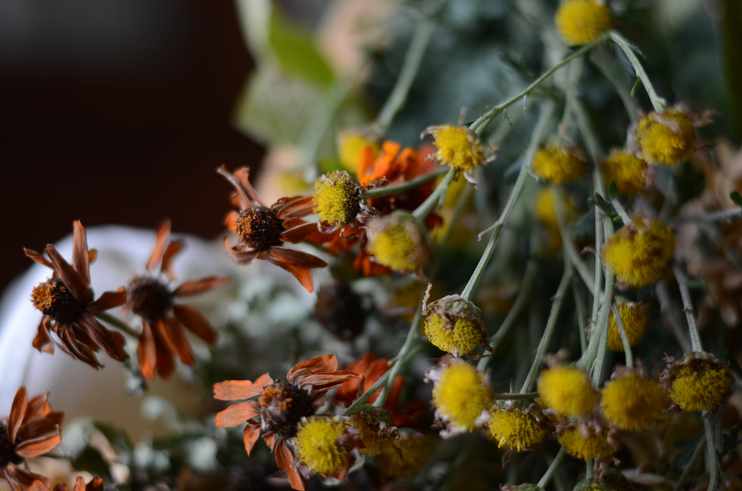 The two of us strolled around looking at dried summer flowers, talking mostly about mom things, and snipped snipped snipped. 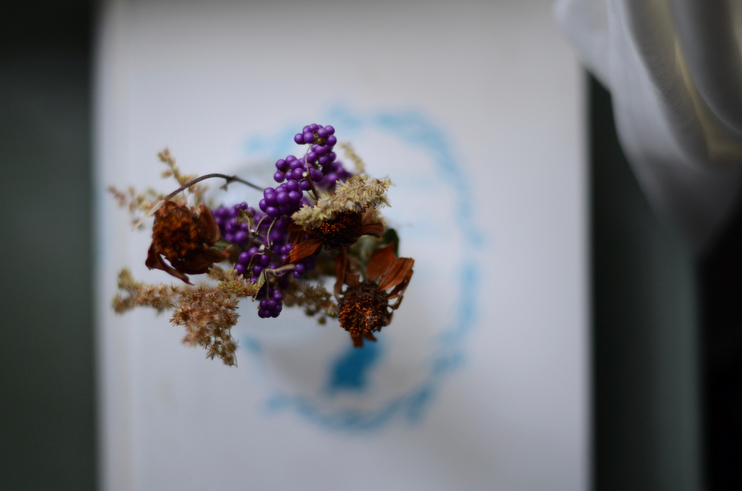 Some had no petals, some were kind of weedy, but most were just plain old gorgeous. We took them all. The cheery old volunteers told us that everything would be chopped down in the spring anyway, so why not gather now? Side note: I have decided that I want to be a volunteer gardener at this farm when enter my elderly years. Only because our strollers couldn’t hold both our babies and an entire hydrangea hedge, we stopped snipping. 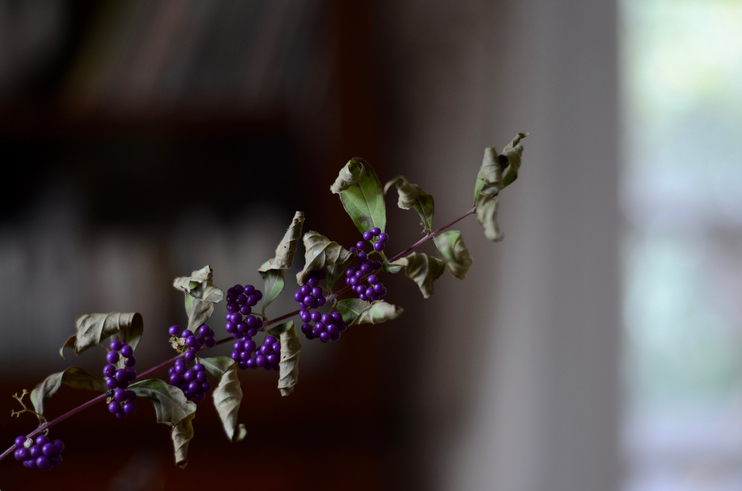 But what a lovely bundle we foraged! When we got home I had fun arranging them with Stella while listening to Winnie the Pooh. She made the one sitting on top her bedside book, and the one on the window sill at the top of the stairs. Blooms, blooms everywhere. 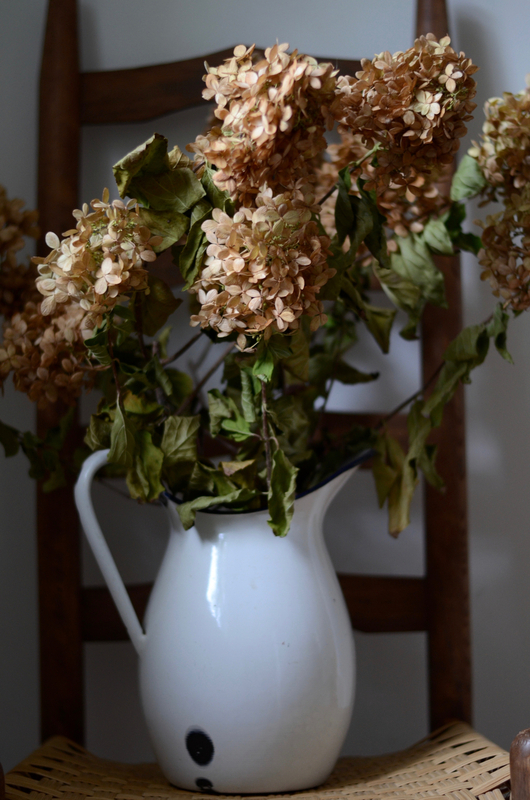 I made the dried hydrangea arrangement, not much to mess up there, and a few others I didn’t manage to photograph. Such fun! 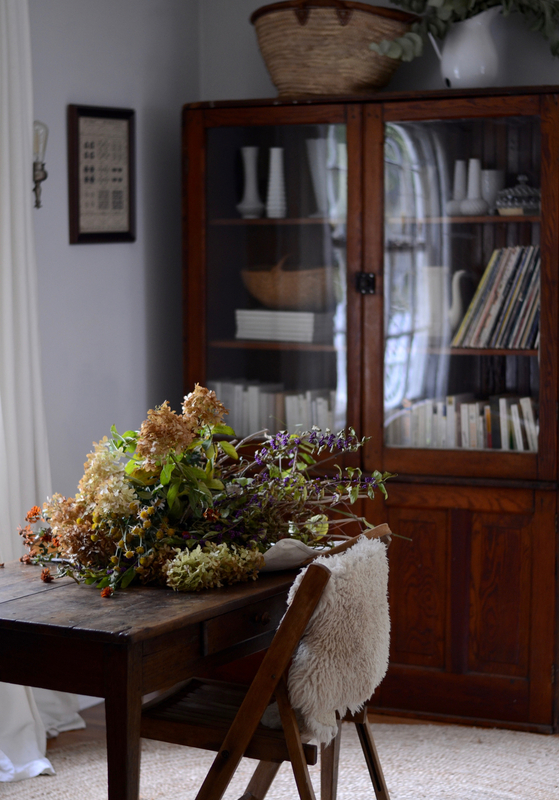 If you ask nicely enough, you can get really beautiful dried flowers to arrange for free this time of year. Having bundled up babies nearby should help your cause.